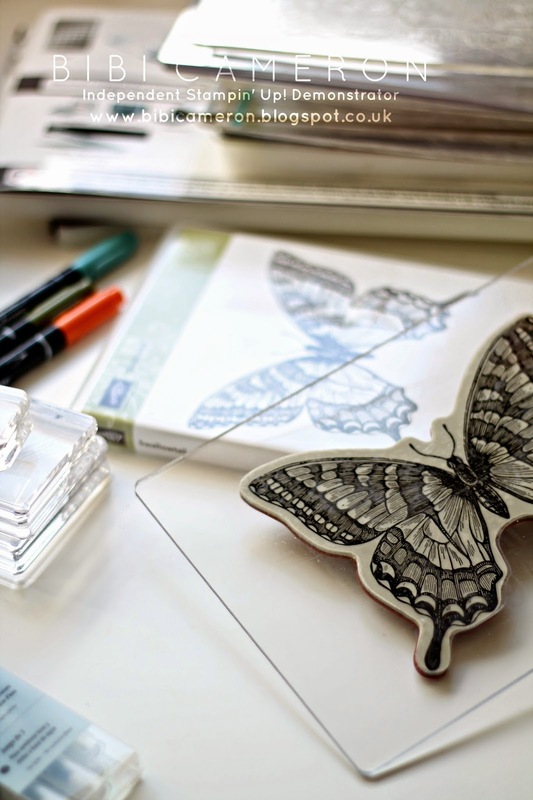 If you like butterflies this could be the most stunning stamp you have ever see. Swallowtail from Stampin Up is huge!!! Massive!!!WOW!! LOVE IT!! 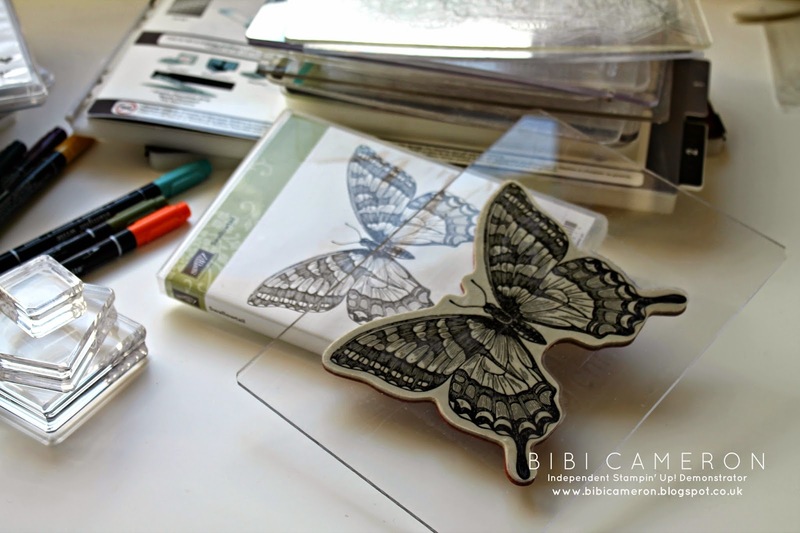 I bought the cling stamp option (Ref 129216) and as I struggle to fit the butterfly in my largest clear block I had to use one of my bigshot embossing plate and it worked beautifully!!! 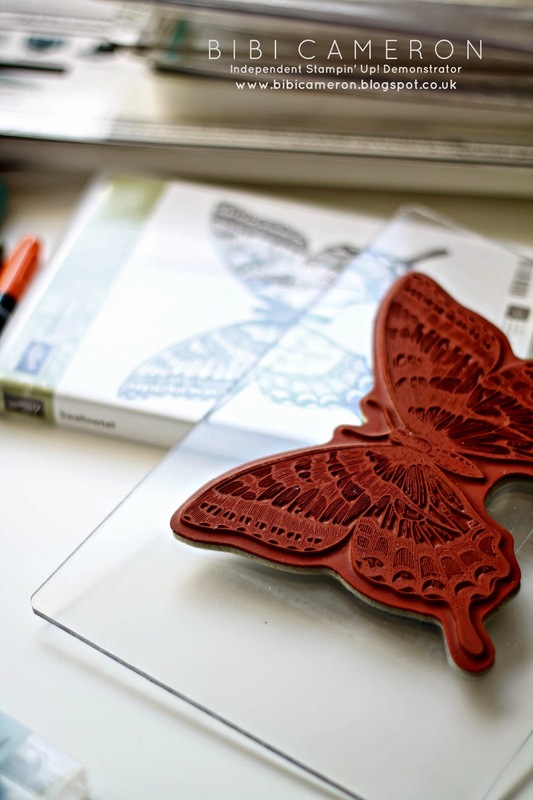 So you can use your embossing plates with large background cling and clear stamps!! hooray!!! This gorgeous, plus-size butterfly will provide a breathtaking focal point for scrapbook pages and oversized cards, canvas or to stamp on fabric to create your own designer fabric for any sewing project. sprinkle it with adhesive and Dazzling Diamonds Stampin' Glitter, then turn it into a one-of-a-kind tag for an extra-special gift.